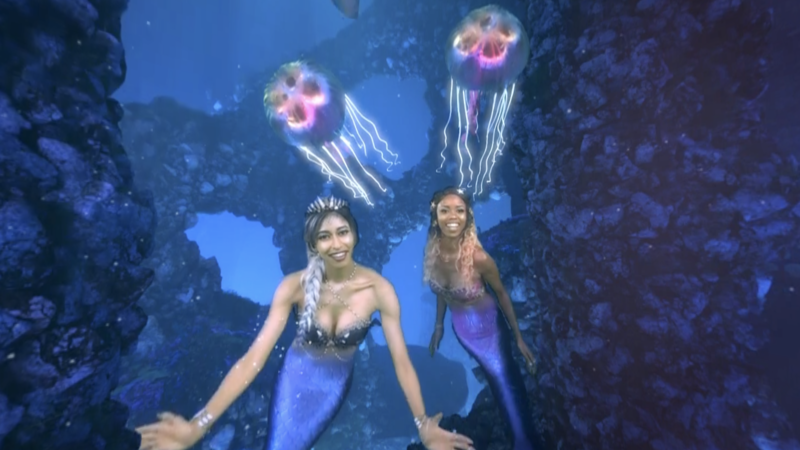 Dive into the world of mermaids at nightfall with wet n wild®’s new Midnight Mermaid virtual reality experience. Enjoy the thrills and entertainment of a 3D underwater journey featuring sea life, mermaids and makeup! Groove Jones worked with wet n wild® to bring their latest brand concept to life through the creation of an underwater VR experience. The Midnight Mermaid collection is inspired by the world of mermaids in a context that you rarely get to see or experience: Nightfall. The client’s goal, as a brand, was to create an experience that is visually arresting, breaks through and ultimately resonates with the viewers – VR has the potential to do all of that. Below are images from the experience. The brand’s core consumers are Gen Z and Millennials, and as a result we need to understand how these audiences behave/what they want. For this consumer, it is all about building meaningful connections. Their attention span is a lot shorter so we have to engage with them in a way that will make them want to take the time to explore a relationship with the wet n wild brand. 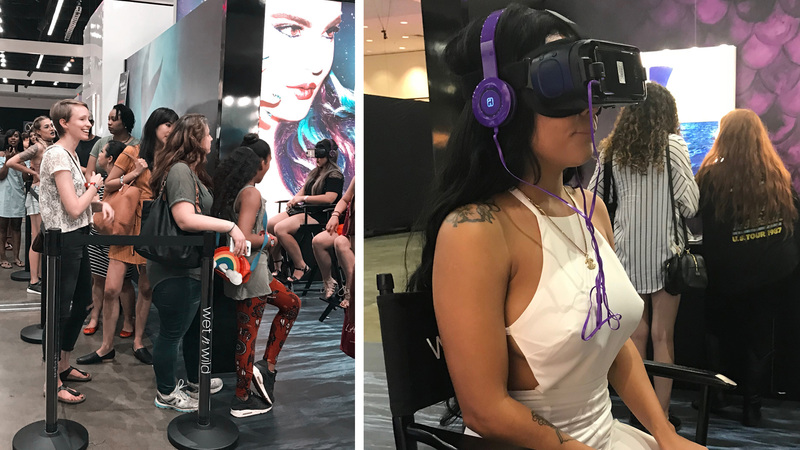 The experience launched at Beautycon in Los Angeles where the Gen Z and Millennials absolutely loved the experience. The experience created a closer connection with their consumer as well as an opportunity for a more powerful brand recall. It was more than a promotional tool. It is an extension of the brand where the millennial consumer is propelled at the center of their world, fully engaged with it and the products. The experience has now been released as a mobile App and across wet n’ wild’s social media platforms that play 360 videos. Above is the teaser video for the downloadable mobile VR experience. 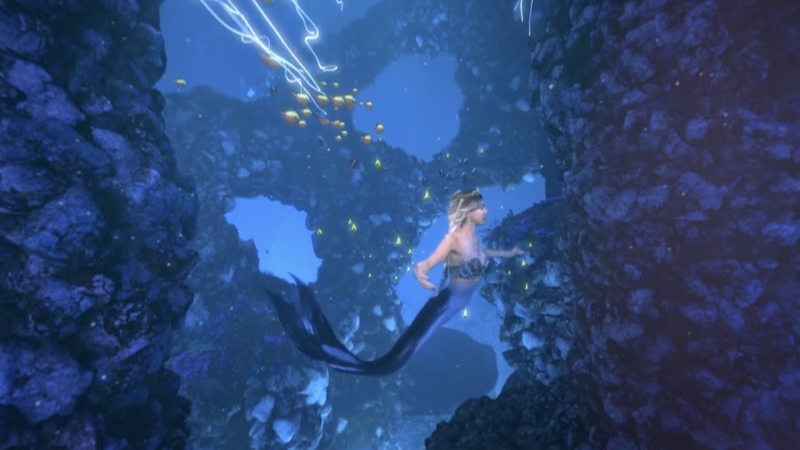 The production began with the outline of a script and storyboards that told the mermaid story. We had to be take into account the entire 360º area and design the experience so a viewer can see the story from different angles and that the the various elements of the story connect. 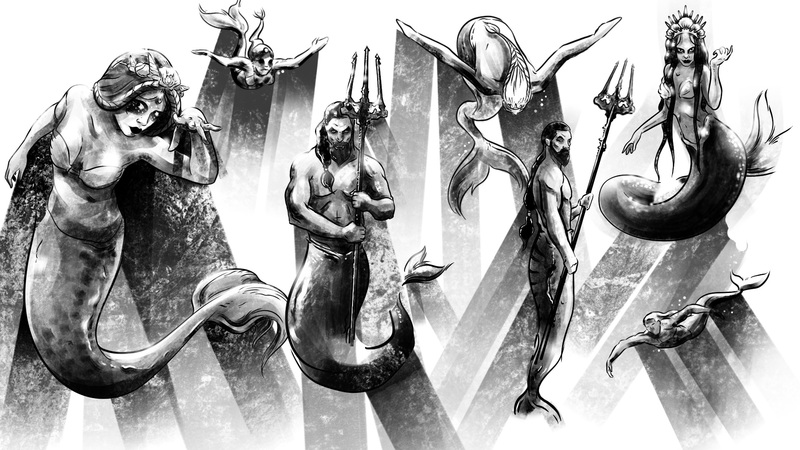 The team then worked on creating the characters in the story – the queen, the guards, and the mermaids. Finally we began the casting call for the characters in the story. Each model needed to represent the brand and have a strong screen presence to sell the idea that they were the mermaids. The models were scanned in from every angle, to capture their entire body. We used the process of photogrammetry to combine image data from every angle into a super high resolution digital double. The mobile rig contains about 130 DSLR cameras, all precisely calibrated to capture each critical area of geometry we need. Using a full surround camera array allows us to capture all the geometry and texture information we need instantly, so the talent does not have to hold perfectly still for seconds or minutes, like with other scanning methods. Each instantaneous capture yields around 3 gigapixels of surround data. 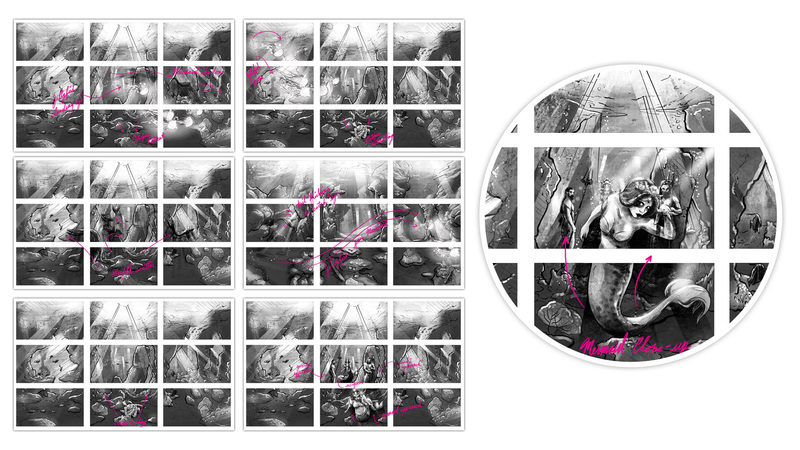 In the span of a few minutes, we captured between 500 and 1000 images for each of the mermaids on this project. From there, the images were all combined to create a high quality 3D model. 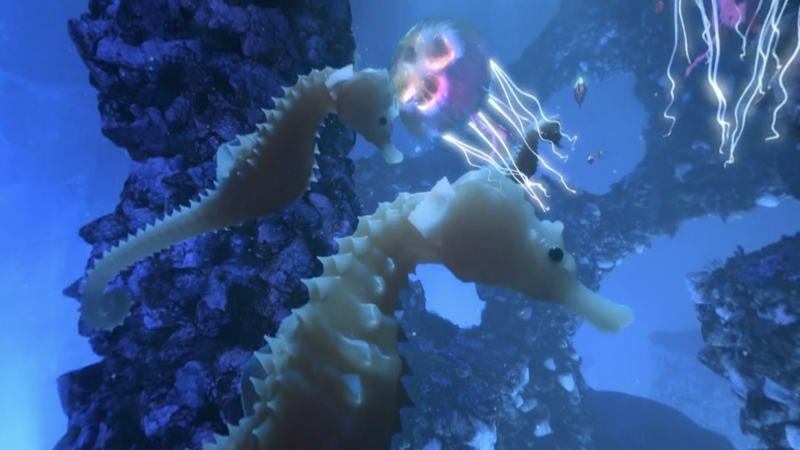 It was a challenging production to create a magical 360° underwater world full of 3D CGI animated sea creatures combined with live action footage of real people. 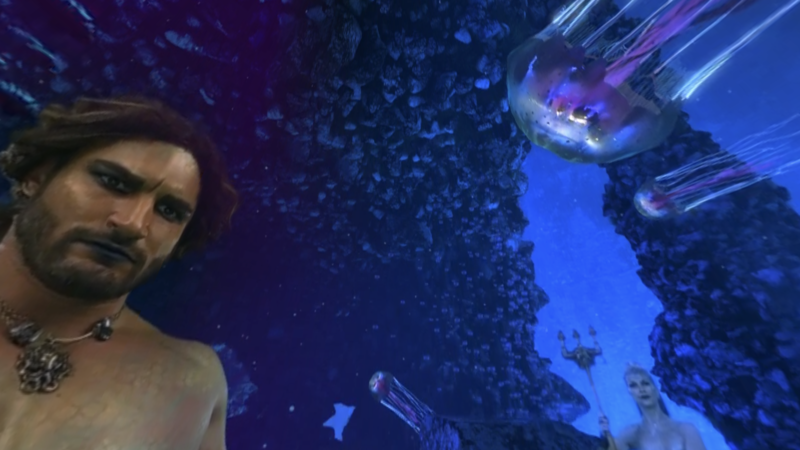 The live action component was shot on a large green screen stage. To create the effect of the talent swimming underwater, or suspended in water, each talent was carefully rigged and suspended. Groove Jones ECD & Director, Dale Carman took his time helping each actor become comfortable suspended in the rigging, gauging their ability to then direct their performance accordingly. The rigging aspect was a challenge. We had to carefully strike a balance between enough rigging and support to effectively suspend each actor without their bodies being completely covered with various harnesses. 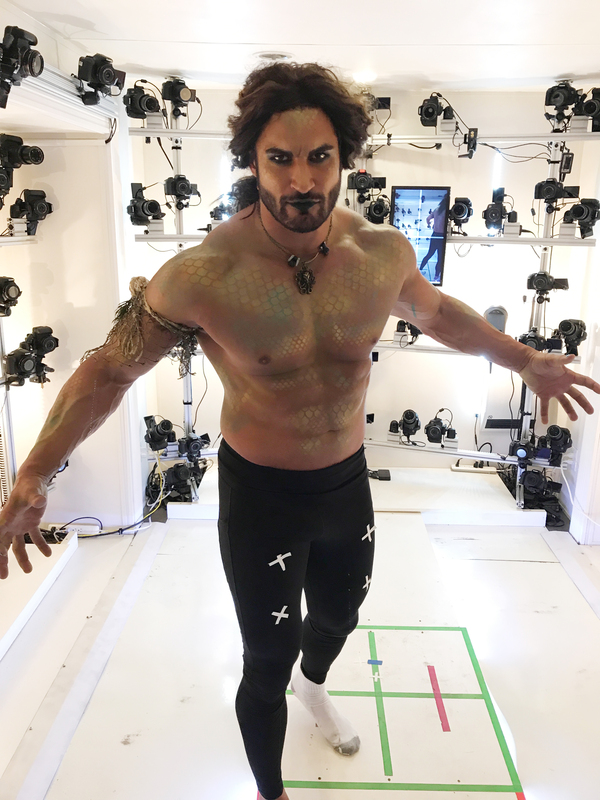 Since the final piece was to be a 360° VR experience, we had to carefully capture each shot since for each performance you would see the actors entire body in 360°. The models were hung from the ceiling, to create the effect of swimming underwater. Plates were shot with an Arri Alexa stereo rig. 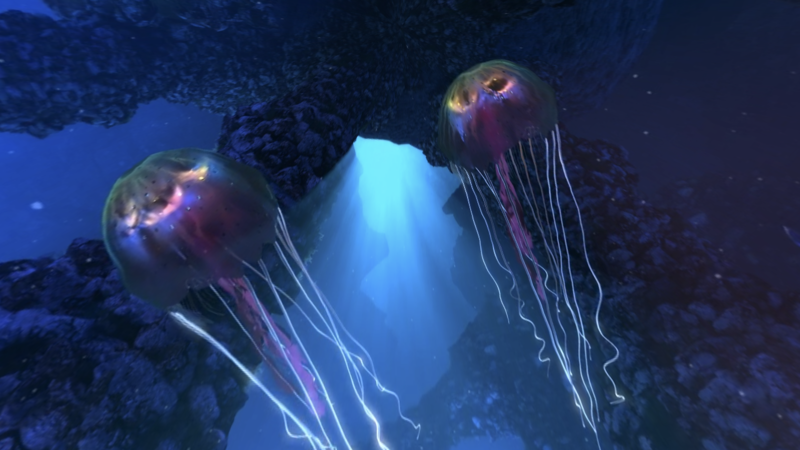 Talents were match moved to replace talents’ legs with animated tails and created a completely computer generated underwater world. Compositing was a complex challenge since this is a mixture of 3D and 2D elements within a 360° CGI environment. You are immersed in an ocean, sea life and mermaids are intertwined. Unlike traditional 2D compositing, where elements are just in front of, or behind one another for viewing on a 2D bordered, flat screen, our final view is stereoscopic and in 360°. A complex compositing pipeline using the actual 3D position of each pixel and combining the various 2D and 3D elements perfectly was developed by Groove Jones. 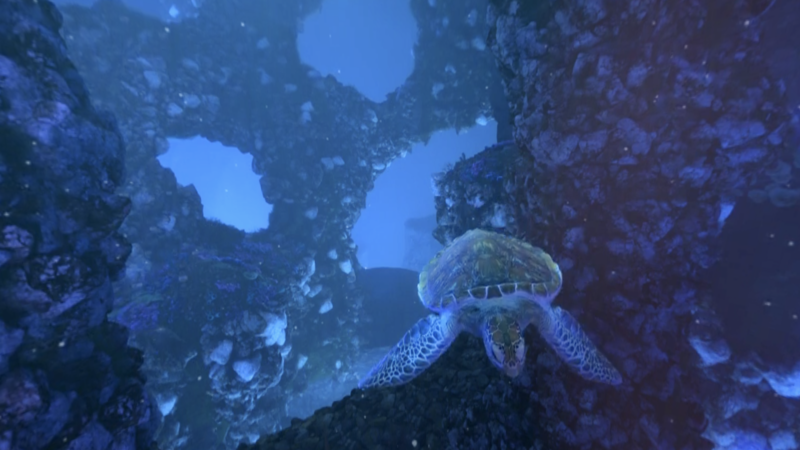 Once completed our underwater world was filled with an abundance of 3D CGI sea creatures moving all around you, the viewer and the mer-people. 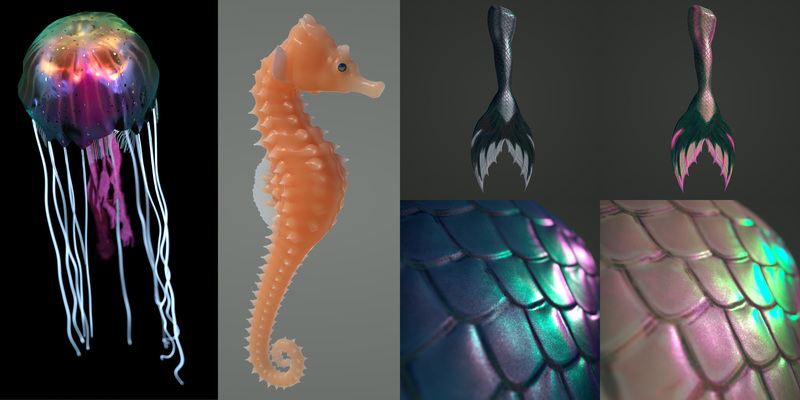 The 3D CGI sea creatures were all modeled, textured, rigged and animated in Maya. Everything was then integrated and composited in our Nuke VR pipeline to create the final stereoscopic 360º experience. For more information and to shop the Midnight Mermaid collection, visit wetnwildbeauty.com. wet n wild® is a cruelty-free beauty brand delivering on-trend beauty at affordable prices.